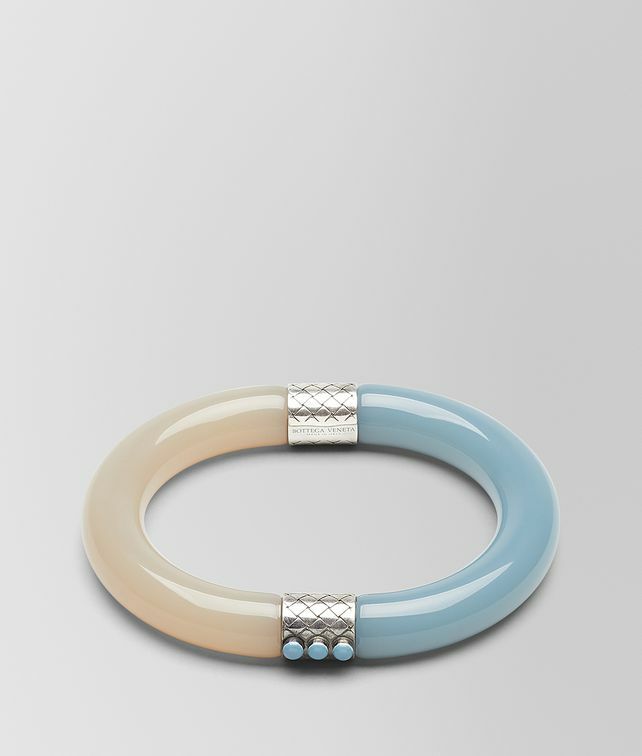 This resin and silver bangle, featured in the Cruise 2019 presentation, is designed to coordinate with the optimistic color palette of the collection. The two shades of resin are joined by a band of intrecciato-engraved silver, adorned by three resin cabochons. The bangle is made to slip over the hand and has no closure. Wear it alone or stacked with other colors in the same style.